*** Net Weight: 4 lbs; *** Size (W x L): 2-1⁄2" x 3 3⁄4", ideal for protecting and holding gift cards, ID cards, credit cards, hotel cards, etc. 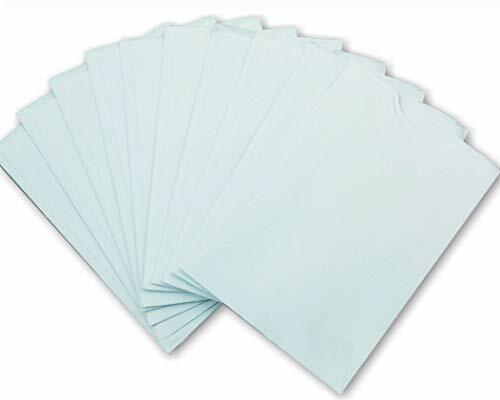 ; ***Not RFID blocking sleeves; *** Color: Bright White, easy write on; *** Weight (Density) of Paper: 27 lbs (100 gsm), acid-and-chemical-free paper; *** Open End: Cut flush with double thumb cut for easy access to card; *** Packing: 1,000 Per Pkg. ; *** Pricing: Best value in the web; *** Quality: brand new, 100% satisfaction, or return with no-hassle refund. *** Fast Shipping from U.S.
- Size (W x L): 2-1⁄2" x 3 3⁄4", ideal for protecting and holding Gift Cards, ID Cards, Credit Cards, Hotel Key Cards, ATM Card, Business Card, etc.